I’ve been organizing my thoughts on our classification of “Invasive” species. This plant is one that has spurred that train of thought. I’ve also had a series of very short posts written off-line at my farm regarding the natural(ized) nectar and pollen sources for the bees. Those posts were subsequently forgotten on my computer hard drive. Now I can publish those thoughts along with an update! 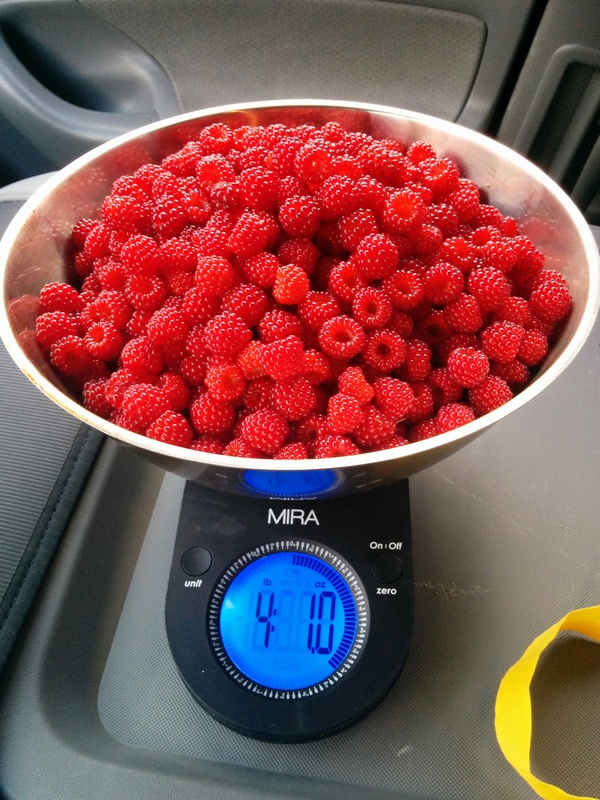 I want to again gush over my love of that kitchen scale. Now that I have used and abused the stainless steel bowl including weighting homebrewed beer ingredients, food preparation and even baking it at 500 degrees to contain steam around loaves of sourdough, I can fully endorse it! Amazon prices fluctuate quite a bit. The scale is currently at $50 but I bought it not long ago for $37. Either way, it was worth every penny! 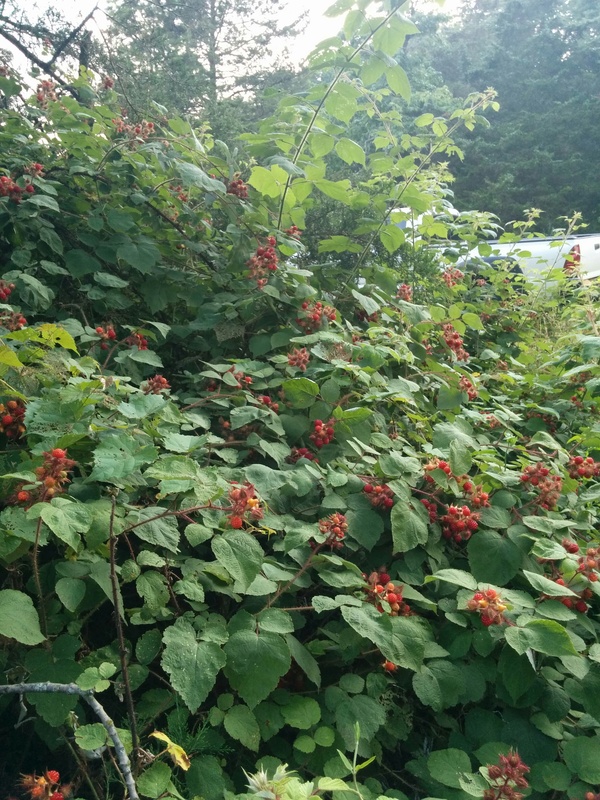 The berries are just now beginning to ripen. 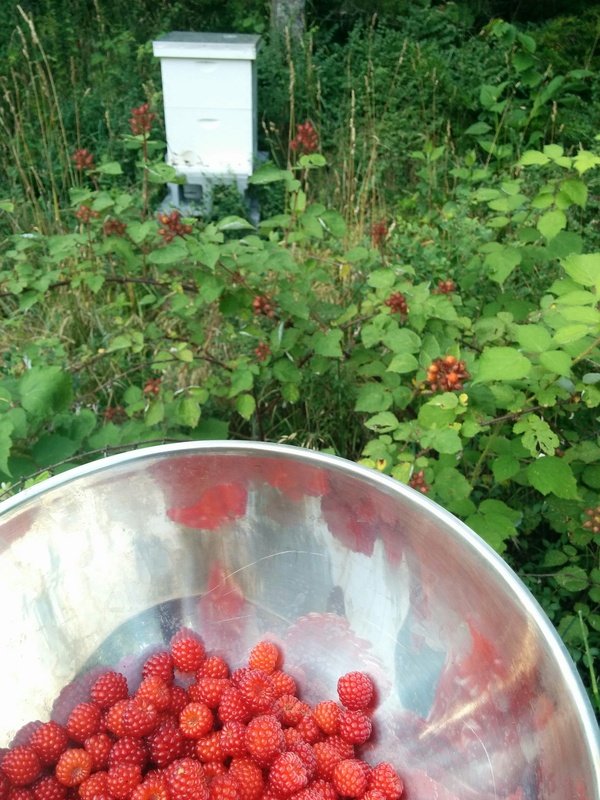 For most of the bundles of berries, only one in the group was ripe (the beehive picture demonstrates this) so I will be able to harvest a huge amount in the coming weeks! 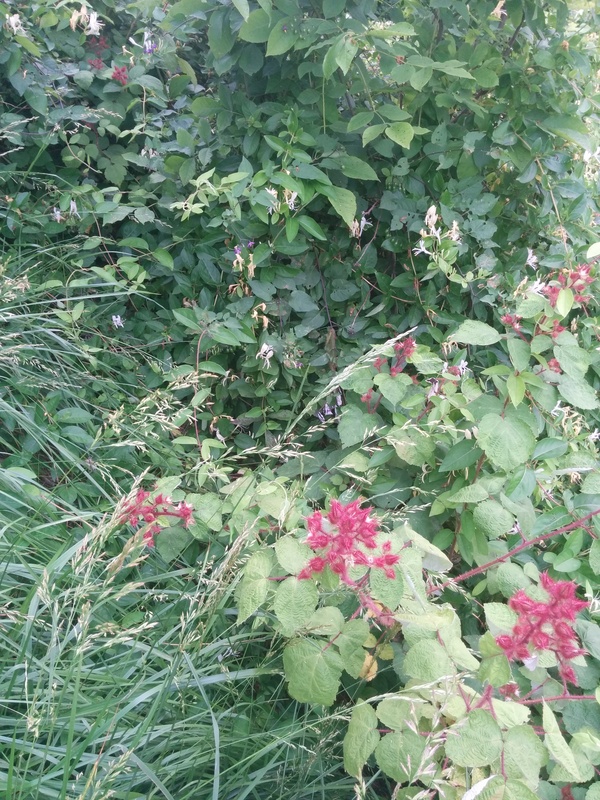 However not all non-native plants are as worthy of shedding the invasive label as this one. My current ecological dilemma is the subject of tomorrow’s post.